On April 11, 2019, the HCS Envirothon Team had the highest total score and are the 2109 Harford County Envirothon Champions! The HCS team came in first in the following categories: Wildlife, Aquatic, 5th topic and 5th topic Presentation. They had a total winning score of 522 points with a large point spread from 1st place to 2nd place. They will be going on the MD Envirothon State competition on June 19-20th at St. Mary’s College representing Harford county. Congratulations to Director Ada Stambaugh and her team! Don’t Miss the Spring Play! SAVE THE DATE! The title of this years’s HCS spring play is Father Knows Best and it will be performed on Friday, May 3rd at 7:30pm and Saturday, May 4th at 6:00pm. Saturday’s performance is an hors d’oeuvre theater. If you have never experienced our student performances and amazing culinary delights, you will want to treat your senses to something truly memorable! Call the school office for information on ticket sales. We hope to see you there! Below are links to the many 2019 Secondary Harford Christian MACS winners in academic testing and music competitions as well as a list of the 2019 HCS MACS Spelling Bee winners. Well done! On Monday, March 4th, HCS students were able to show off their research, conclusions and creativity during the HCS Excellence Fair. On Saturday, February 23, 2019, the HCS Envirothon team competed in the Harford County Envirothon oral presentation part of the competition. We are so pleased to announce HCS’s 1st place finish in the oral presentation leg of the competition, leading the way as they compete in the academic portion of Envirothon on April 11th. In addition we are delighted to announce that the art one of our HCS high school students won the t-shirt design portion of the Envirothon competition. Her art design, which included elements of soils, aquatics, forestry, wildlife, and conservation will be worn by all Envirothon participants during the April 11th competition. 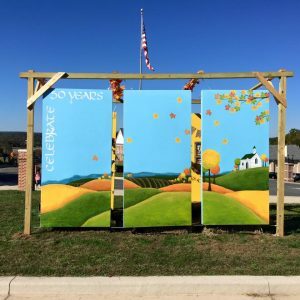 Congratulations, Mrs. Stambaugh, and HCS students! 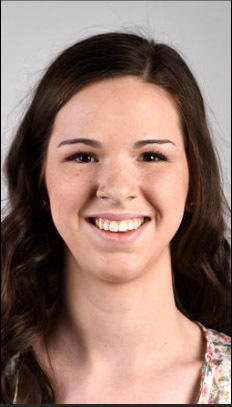 Susanna Edwards, a 2015 Harford Christian graduate and a senior middle childhood education major from Delta, Pennsylvania, spent her Christmas break covering a dress with baby clothes. She wore this dress to the 2019 March for Life. From the article in her university paper: “As I sorted through the clothes, I thought about how each one had been worn before,” said Edwards. “I thought about the stories behind the pieces of clothing. The only thing I need in life to feel that I belong is to love and be loved. Pro-life advocates need to ensure that mothers feel loved and that they have someone – their unborn child – to love. Love protects, so the love of a pro-life advocate seeks to protect mother and baby.” Full article from Cedarville University. Thank you, Susanna, for representing Cedarville, HCS and all of the citizens that are passionate about life in the womb. Eighth grade HCS student, Anelise Rodriguez, won the VFW Writing Contest. As a district finalist, she will go on to state competition. Congratulations Anelise! The Charlie Riley Scholarship Program honors the memory of the late Charles W. Riley, a 52-year member and chief of Abingdon Volunteer Fire Company and a member of the Harford-Cecil Volunteer Fireman’s Association and Maryland State Fireman’s Association Halls of Fame. The honorees at this year’s award banquet have served their neighbors through community service, extracurricular activities and leadership. They are all “doers of the word” – the foundation’s moto. An awards banquet was held on November 8th. This year’s winner representing Harford Christian School is Rebekah Olinger. Rebekah received a scholarship to be applied to her higher education. Congratulations Rebekah! MACSAC held its first fall all star games for boys varsity soccer and girls varsity volleyball. Invitees from HCS for volleyball were Natalie Dodson and Mackenzie Olinger along with coach Wes Peters, and for boys varsity soccer — Dominic Zappala and Evan Coomes along with coach Dave Taylor. On Saturday, October 20th, our Varsity Volleyball and Soccer teams made it to the MACSAC championship finals. 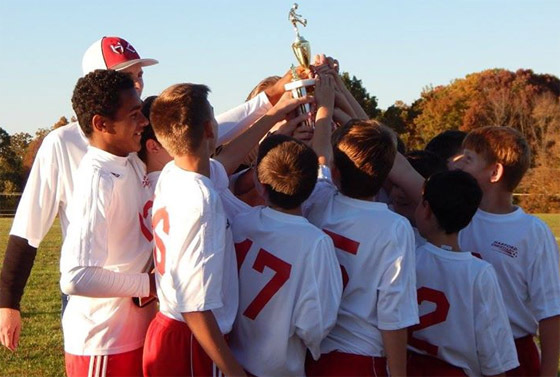 Congratulations to the middle school boys’ team on winning the MACSAC Championship soccer game, 2-1!! The HCS campus is buzzing with activity twelve months a year! As teachers put finishing touches on their classrooms and hone their lesson plans, our August summer camps are taking place. This week, students are enjoying volleyball and S.T.E.M.Camps. Our June Summer Camps are now in the history books. Campers had fun and built skills during our music and soccer camps. 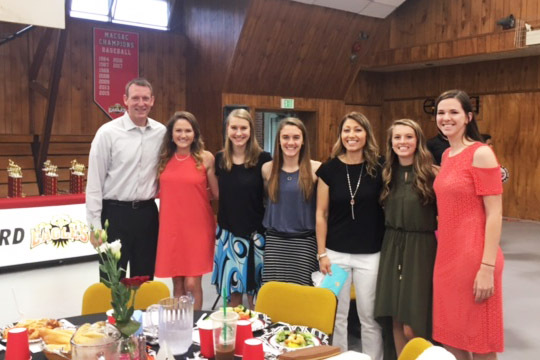 On Wednesday, June 6, 2018, Harford Christian School and Reformation Bible Church staff surprised Principal Bryan Wilson and his wife and preschool teacher, Dreama, with a celebration of their 20 years of service to the ministry. Mr. Wilson was expecting a staff meeting and Pastor McKnight was successful in distracting him until the time of his message of thanks to an administrator who has made his job “very easy” over the past 20 years. Thank you, Mr. and Mrs. Wilson, for your service and the many lives that you have touched. 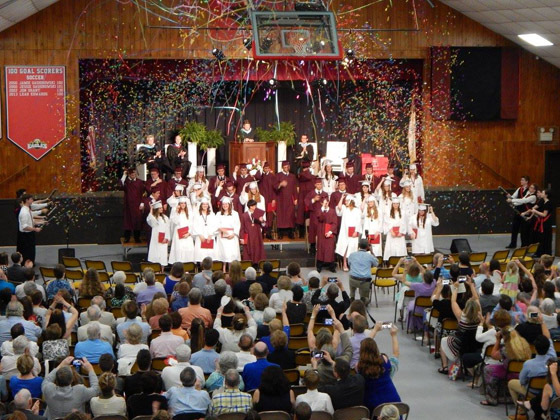 Congratulations HCS Graduates! See more photos on our Facebook Page. 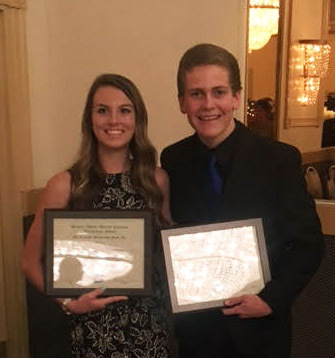 Seniors Alex Lewis and Jake Edwards are this year’s recipients of the Al Cesky Scholarships – – each in the amount of $2,000.00 dollars. Alex and Jake are recognized for their athletic and academic achievement and are numbered with other elite scholar/athletes in Harford County. Congratulations to Alex Lewis and Jake Edwards. Jasmine Crank (HCS Class of 2010) just completed her master’s degree in bio-medical science from Roosevelt University. Jasmine is well on her way to becoming a physician’s assistant (PA). Days later younger brother Jordan (HCS Class of 2014) received his bachelor’s degree in business management and finance from Loyola University. What a special month of May for these HCS siblings and their proud parents Michelle and Tom Crank. After conceding an early goal to Carroll in the MACSAC varsity girls soccer championship, the Harford Christian girls battled back to make it 3-2 at halftime. The Eagles continued the offensive barrage in the second half, and the game finished with a score of 7-3 as HCS claimed their 10th consecutive championship. On Thursday, February 1, 2018, administrators, alumni, and students from Harford Christian School visited 29 separate offices of Maryland senators and delegates. Representing HCS and Maryland Association of Christian Schools (MACS) the message to Annapolis was to “please protect the liberties and freedoms of churches and schools to operate without government interference.” Special thanks to 2013 alumnus John Wilson, and current students Hannah Derwart, Jake Edwards, Seth Giro, and Rebekah Olinger for representing Harford Christian School so excellently. Pictured below is the HCS delegation being hosted by Delegate Kathy Szeliga in her Annapolis office. HCS Senior, Derek Orr, won the Governor’s Challenge basketball game in his last year as an Eagle. In the game against the Warriors, the Eagles won 75 – 71 but at the same time Derrek Orr made history. “Orr’s final stat line included 44 total points, five assists, three steals and two rebounds. Hitting almost all his shots, the guard went 13-for-19 from the field, 5-for-6 from beyond the arc and 13-for-17 from the foul line. 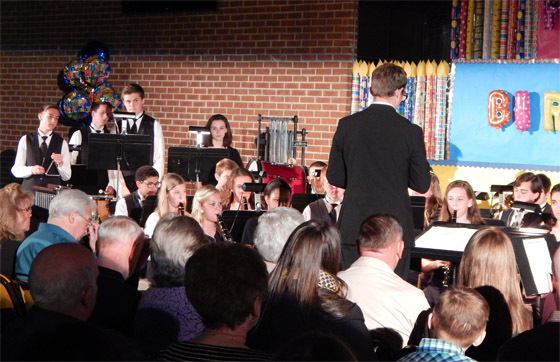 On Monday, December 18th, the students of Harford Christian School put on a wonderful performance for friends and family. Delightful, humorous songs and skits with seasonal songs and sacred music put everyone in the Christmas spirit. Click on the image below to view more photos in our Facebook album. The Charlie Riley Scholarship Fund was created to provide financial assistance for post secondary education to graduating, high school students who are residents of Harford County that perform and display exemplary community service activities in our communities. 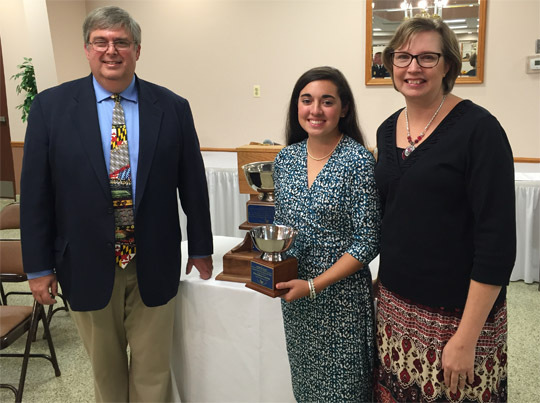 This year’s winner, representing Harford Christian School is Amanda Condict. Congratulations Amanda! 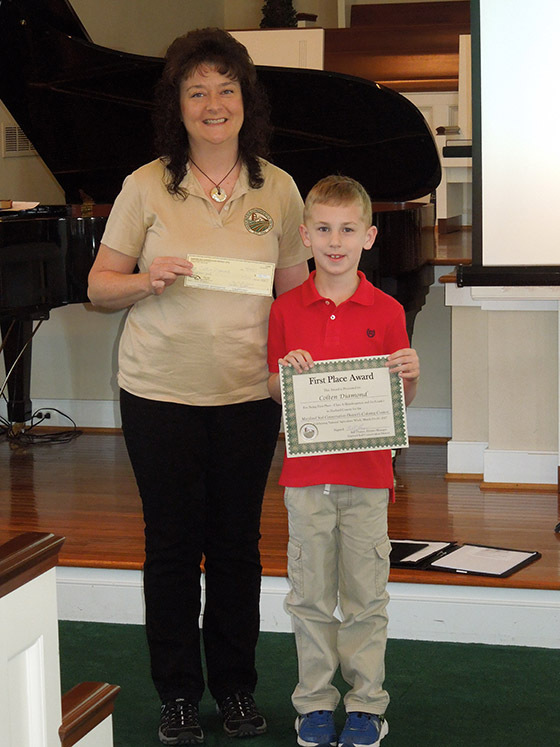 HCS 1st grade student, Colten Diamond, recently received a letter in the mail from the Maryland Association of Soil Conservation Districts, Inc. congratulating Colten for winning First Place in the MASCD Coloring Contest for Class A (K-1) for Harford Soil Conservation District! Our HCS family congratulates Colten for winning Harford County and the State of Maryland! Have you visited our newly renovated high school library? It is transformed in every way. There are study tables, student computer stations and a glass-enclosed meeting room complete with ceiling -mounted projector for presentations. The walls are adorned with photographs and verses from the Bible. Please stop by but in the meantime, visit our Facebook page for a preview photo album. 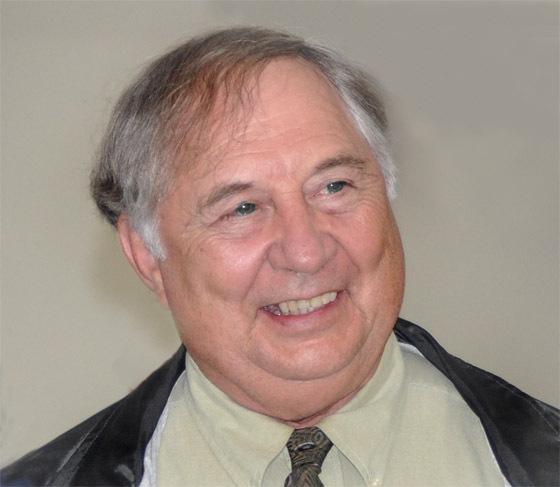 The Al Cesky Foundation awards scholarships to Harford County high school seniors who excel in both athletics and academics, and who best demonstrate the values reflected in the life of Al Cesky. This year’s recipients for Harford Christian School were Lily Loomis and Josh Weaver. Congratulations! 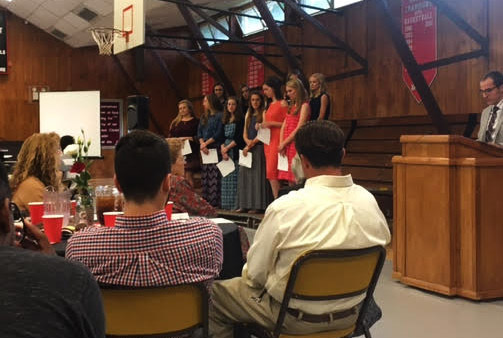 At the HCS Sports Banquet, 8 teams were recognized – boys’varsity soccer, girls’ varsity field hockey, girls’ volleyball, girls’ and boys’ basketball,varsity baseball and softball and girls’ varsity soccer. Lily Loomis was awarded most valuable player of field hockey, basketball and soccer. She received a game ball for each sport for 75+ goals in hockey, 1,000 + points in basketball and 100+ goals in soccer (varsity career). 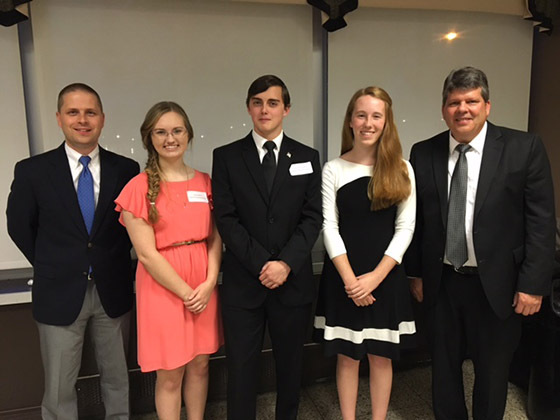 The recipients of the Al Cesky Scholarship, Lilly Loomis and Josh Weaver, were recognized. Long-time HCS “eagle fan” William Williamson’s life was honored and a tree will be dedicated at the soccer fields in his memory. Mr. Williamson cheered on 4 generations of children and grandchildren at HCS. 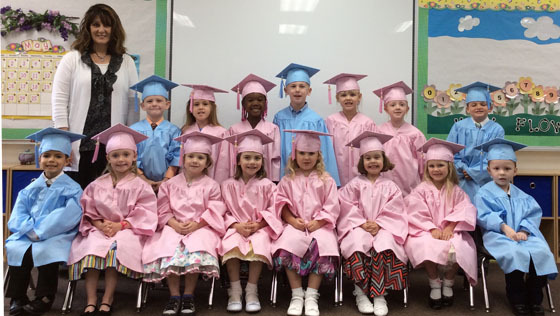 On Monday, June 5th, HCS had a graduation ceremony for our preschool and kindergarten students. It was the cutest event of the year! For more photos, visit our Facebook page. The 47th HCS Commence took place on Friday, June 2nd. The 34 graduates crossed the stage to receive their diplomas during Friday evening’s 47th commencement. Principal, Bryan Wilson, gave a brief bio on each graduate including some humorous memories. Commencement speaker the Rev. Colin Mercer, Pastor Faith Free Presbyterian Church, of Greenville, S.C., addressed the Class of 2017 during Friday evening’s commencement. Harford Christian elementary students had a strong showing at the recent 2017 MACS (Maryland Association of Christian Schools) Fine Arts Festival in Frederick, Maryland. Below is a list of this year’s winners. We are pleased to announce that the students of Harford Christian have won the state cup (again) for being the MACS school with the best performing students in this year’s festivals. Congratulations HCS students and parents! 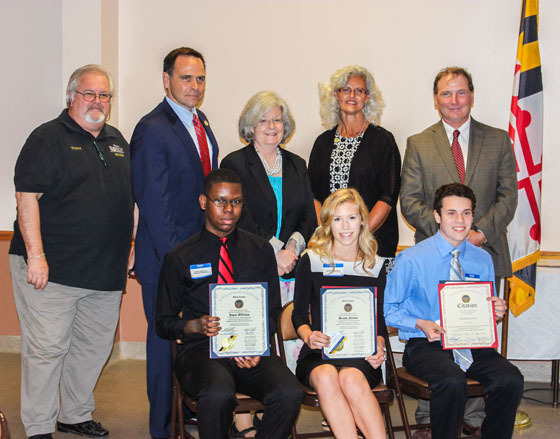 On Thursday evening, May 11, 2017, the Harford County Delegation to Annapolis honored the top three scholars from each high school in Harford County. We congratulate the Harford Christian School recipients of this year’s honors: (from left to right) Greta Harris, Christian Taynor, Hannah Good. 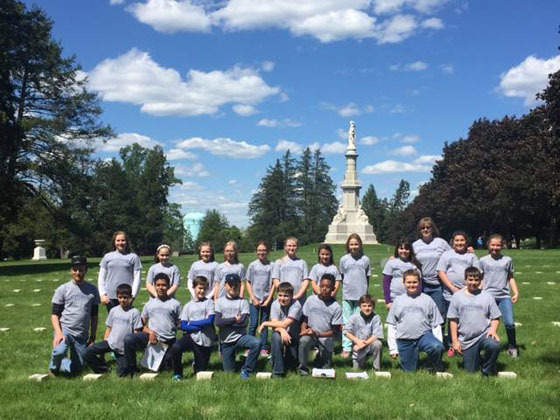 On Friday, May 8th, the 5th grade toured the battlefields and monuments of Gettysburg. The students have read about the history and now are seeing for themselves where it all took place. Click here to visit our Facebook page for more photos. 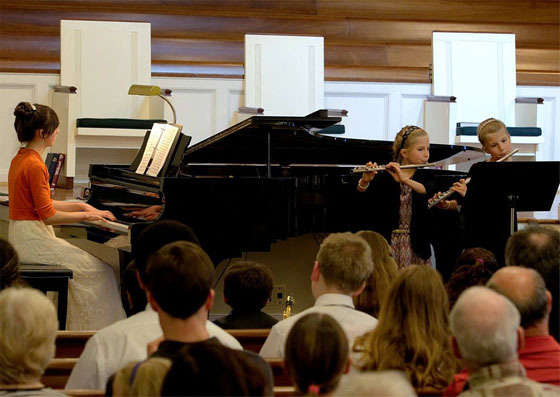 On Monday, May 2nd, students from the HCS music program performed a wonderful instrumental recital for families and guests. Click here to view our full photo album. 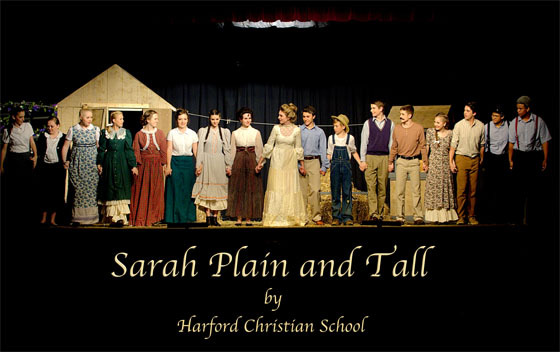 This year’s HCS dinner theater featured a play based on a novel written by Patricia MacLachlan entitled Sarah Plain and Tall. It takes place in Kansas around the year 1910. Because it is a country-themed play, the dinner theater this year took on a country-style flavor as well. Saturday’s performance featured a down-home-style meal and a heartwarming story told through the eyes of Anna Whitting, daughter of widower Jacob Wittting, as they meet for the first time, Miss SarahWheaton from Maine. The directors and students really stepped up and delivered wonderful performances both Friday and Saturday evenings. Congratulations! Click here to view the full photo album. 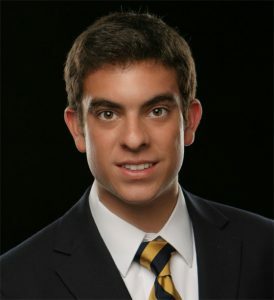 HCS 2013Graduate, Hunter Howell, was accepted into a PhD position with a Dean’s Fellowship scholarship at the University of Miami Graduate School! This award provides 2 years of full tuition plus living stipend to get his Doctor of Philosophy in Biology. Hunter was part of the Harford Christian School Envirothon Team during his high school years, under the direction of Ada Stambaugh, his Biology and Environmental Science teacher. It is exciting to see Hunter continue his pursuit of science in higher education. Congratulations Hunter! 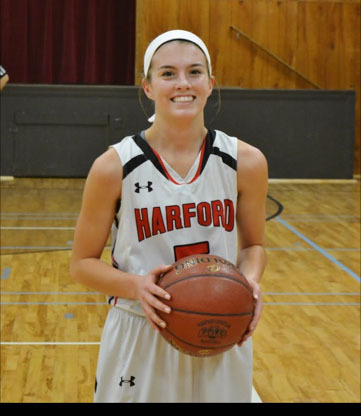 Maddie Purdy and Lilly Loomis were chosen by the Aegis for the All Harford Basketball team. 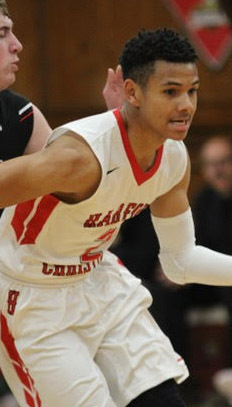 Derrick Orr received his first All Harford for boys’ basketball. Congratulations to these outstanding players. On Friday, March 10, 2017, Harford Christian hosted the Maryland Association of Christian Schools High School Fine Arts Festival on our campus. 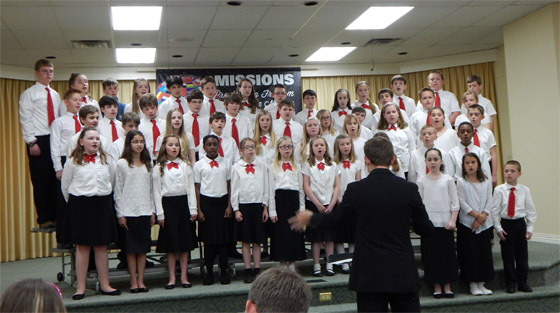 Christian schools from around the state arrived on Friday morning and engaged in performance and display for the entire day. Our 7th through 12th grade students showed very strongly in the categories of music, art, photography, and academics. Below are the 1st, 2nd, and 3rd place winners from HCS. We offer our congratulations to these gifted and hard-working students on their accomplishments. Additionally, we send our thanks to all of the staff and volunteers who judged, supervised, and assisted with the Festival. 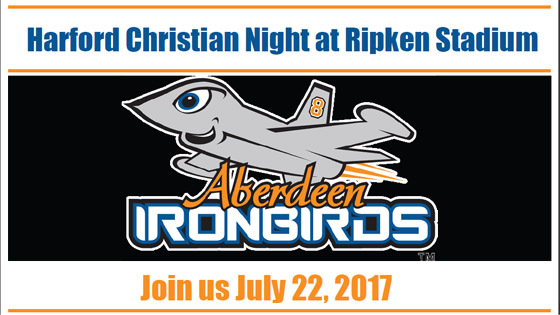 Join us this summer for a night at Ripken Stadium, July 22, 2017. The HCS Elementary Honors Choir will be singing The National Anthem that evening. Please support our young people and purchase tickets for this exciting event. It will also be a Fireworks night, the best fireworks in Harford County! Our ticket sale will end on March 17th. You can download the order form here. 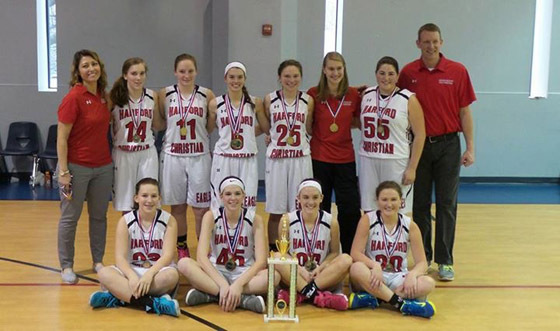 The Harford Christian School girls’ varsity basketball team was victorious over Carroll Christian with a 51-25 win in the Maryland Association of Christian Schools Athletic Conference Championship this past Saturday. The Honor Society is sponsoring a Pennies for Patients campaign to help the Leukemia & Lymphoma society find a cure for cancer and help patients who are currently struggling. For more information click here. HCS Graduate Hunter Howell was just accepted into a PhD position with a Dean’s Fellowship scholarship at the University of Miami Graduate School! Carolyn with her brother, Wes, the band director! On February 12th, Carolyn Peters performed with the 2017 MD All State Senior Orchestra. 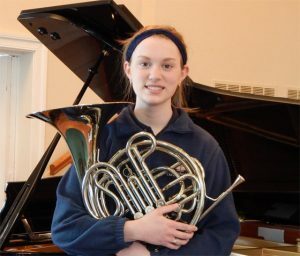 Out of the 134 elite musicians from around the state of Maryland, Carolyn was the only high school student from Harford County and the only Christian school student from the state to be seated in the orchestra. 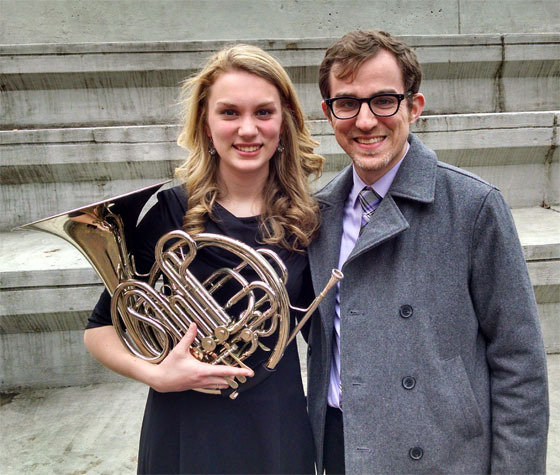 Carolyn was one of five French horns in the All-State orchestra. We congratulate Carolyn on her second such honor in two years. In April she will travel to Atlantic City, New Jersey, to participate in the prestigious All-Eastern event, hosting the best of the best musicians from the East Coast. On Friday, January 20 in a game with MACSAC league opponent, Frederick Christian, girls varsity basketball Senior guard, Lily Loomis scored her 1,000th career point. Congratulations on your accomplishment, Lilly! 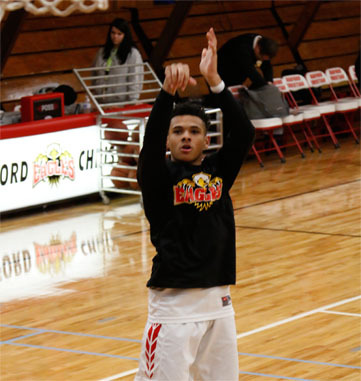 On Friday evening, February 10th, at Frederick Christian Academy with just seconds left on the clock, Derreck stepped to the free throw line to shoot the front end of a one and one. He was sitting on 999 points for his varsity high school basketball career. With poise and swag he drained the first shot to become the 15th HCS Eagle to reach 1,000 career points in varsity basketball. Congratulations to Derreck on reaching this amazing milestone and may there be many more. 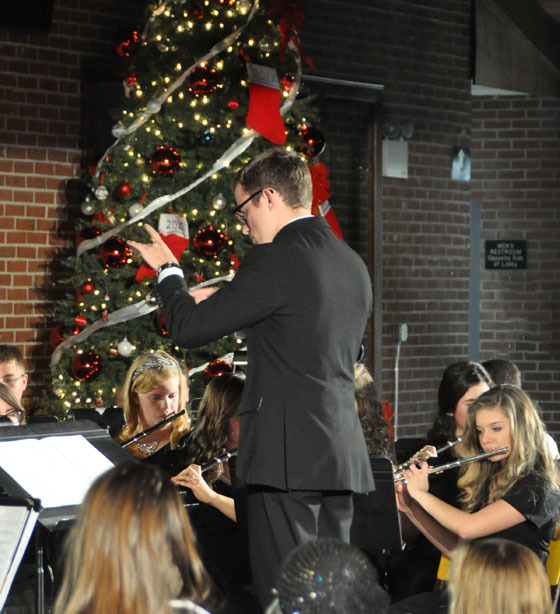 On Friday, December 9th, our concert band performed traditional and sacred Christmas music for HCS families that certainly left full of Christmas spirit. Visit our Facebook album for more photos from the evening. 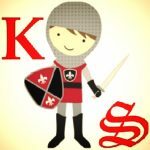 For those of you who follow HCS sports teams there is a new link where you can get timely scores for your favorite team. Click on the logo below to visit Max Preps. There will also be a link in the dropdown under the Athletics Tab. Harford Christian hosted its 18th annual Tip-Off Basketball Tournament this past Friday and Saturday, which included 4 boys and 4 girls varsity teams. The HCS boys varsity team lost in the championship game to the defending Maryland Christian Schools Tournament champions, Chapelgate Christian. Derreck Orr and Darin Miller both received all-tournament honors. The HCS girls varsity team took first place in the tournament. Melissa Good and Lily Loomis received all-tournament honors and Maddie Purdy was named the Most Valuable Player. 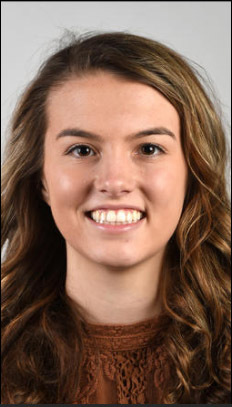 In other sports news: this week, Lily Loomis was named to the Baltimore Sun’s 2016 All-Harford Field Hockey Team (3rd year receiving this honor) as well as listed in the Baltimore Sun as one of the Top Girls Varsity Basketball Players to watch this season. The HCS K5 Students enjoyed crafts, games, outdoor exploration and a tasty feast during the week leading up to Thanksgiving. 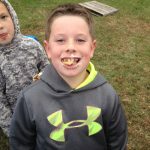 View our fun photo album on Facebook. The elementary students here at HCS recently celebrated our love of reading with a “Vote to Read” themed Book Week. Click through the photos to see all of the cool things we did! Even the teacher got to dress up! Our K5 students became little surgeons today as we learned about another community helper! Thank you Brian Holbrook for sharing so much with us! 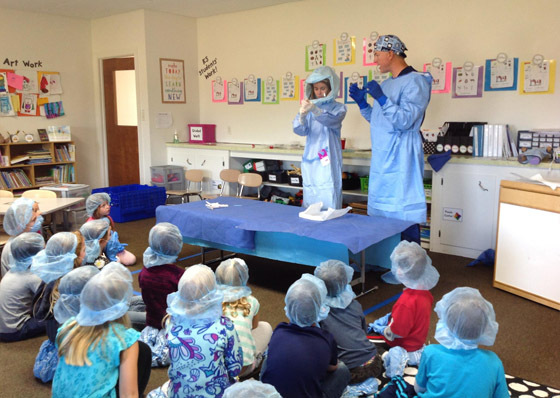 Learning how surgeons get rid of all germs and create a sterile environment was a fascinating topic! 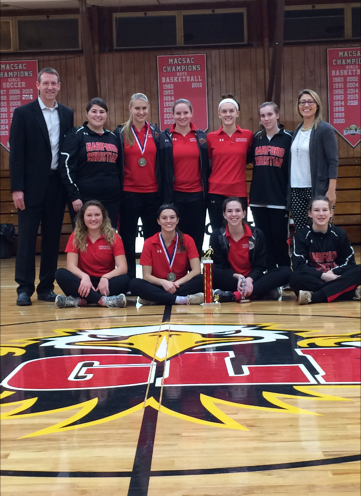 Girls’ Volleyball Team 2nd Place in MACSAC Championship! 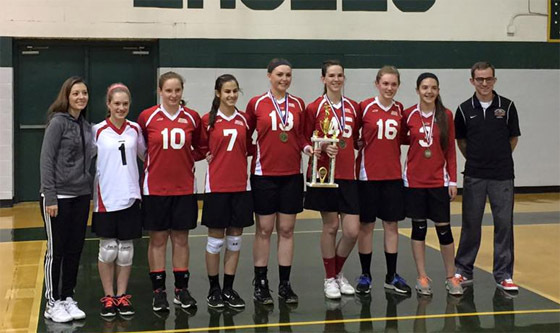 Congratulations to HCS on 2nd place MACSAC championship volleyball game. It was a tough game but the team fought hard! Congratulations to entire team and coach for a great season! Today is Fire Prevention Day at HCS and the elementary students got an up close and personal look at these community servants! Thank you Darlington Volunteer Fire Company for coming to visit us! 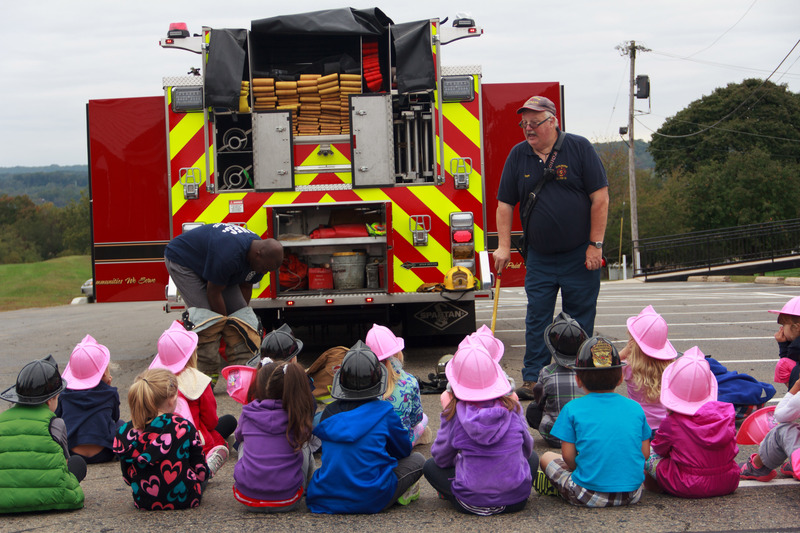 The students got an opportunity to hear safety tips, tour the firetruck and examine equipment that the firefighters use. Visit our Facebook page for the photo album. 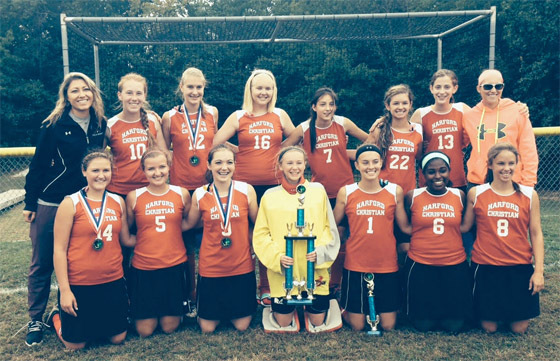 The HCS Field Hockey Team had an amazing season. Congratulations players and coaches! In August 2016, HCS hosted its first STEM Camp. Students participated in exciting educational fun in the fields of science, engineering and math. 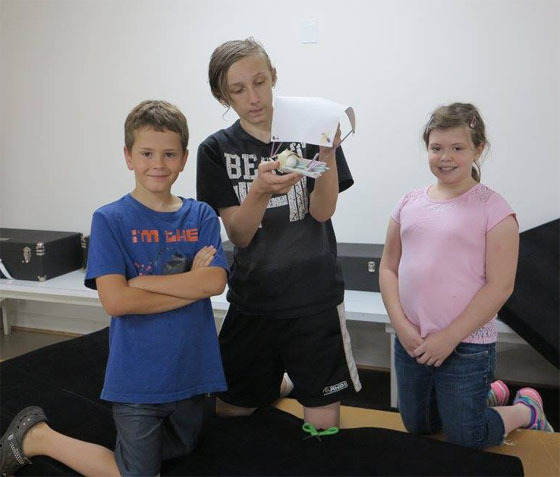 View more photos of our summer camps on our Facebook Page. HCS is hosting a varsity boys’ soccer pre-season play-day this Saturday, August 20th! Teams involved are: HCS, Rising Sun HS, North Harford HS, Havre de Grace HS, Tri-State Christian, and Our Lady of Mt. Carmel HS. They will play games throughout the day on both soccer fields. Concessions will be provided by Ballpark restaurant (breakfast items, sandwiches, fries), Kona Shaved Ice truck, along with snacks and drinks sold from the concessions shed. Come on out and join the fun. Admission is free! 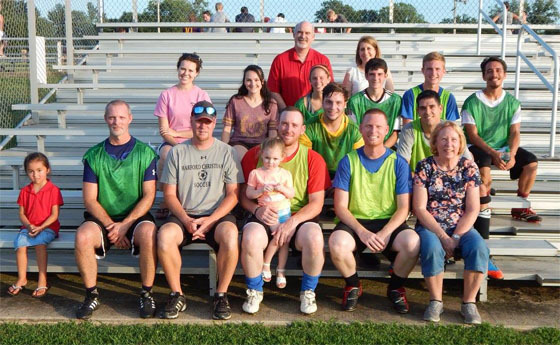 August 11, HCS alumni came out for some lively soccer fun. Our special guest was Patti Parkes, our former vice principal and English teacher for more than 25 years! Summer camps are in session. Campers are engaging in exciting outdoor activities, having fun and learning! 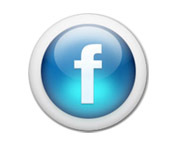 Visit our Facebook page to view our photo albums. 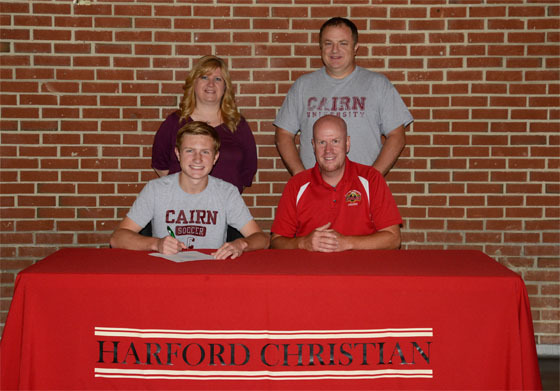 Noah Akers officially signed as a member of the Cairn University soccer team. He will join fellow alumni, Paul Franco and Jared Lanchak on the field this fall. 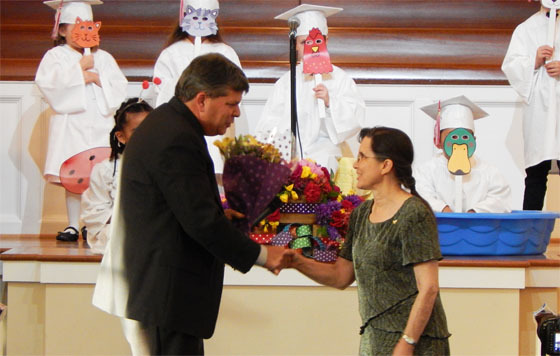 On June 15th, HCS celebrated the graduation of our 6th grade students. 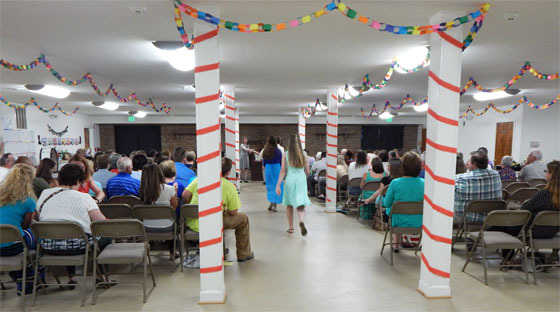 The fellowship hall was brightly decorated for the occasion and the students put on wonderful performances for the parents and grandparents in attendance. The celebration included a cake and other refreshments. In the fall, the student will enter the exciting world of middle school. Congratulations! Visit our Facebook photo album for more. 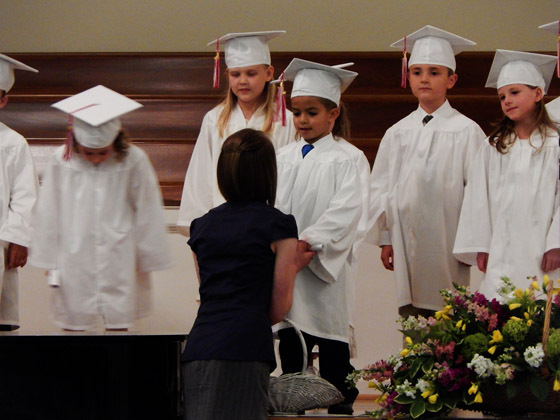 On Monday, June 3rd., HCS celebrated the graduation of our K-4 and K-5 students. It is the cutest day of the year. The students performed for the parents and grandparents in attendance. It was delightful! During the celebration, Mrs. Mary Winters was honored for her 26 years of service. Mary is retiring at the end of the school year. Mary has held many positions during her tenure but most recently, as part of our kindergarten staff. May God bless her in her retirement. Visit our Facebook photo album to see more. On June 3rd, 2016, Harford Christian School bid farewell to 29 very special seniors. The commencement speaker was Dr. Clinton Scarborough, 2002 alumnus and engineer. He reminded students that enjoying and glorifying God can be done through imitating His creative acts. When Christians use their gifts in their professions and crafts, this is a successful life. The Class of 2016 raised more money than any class in HCS history. 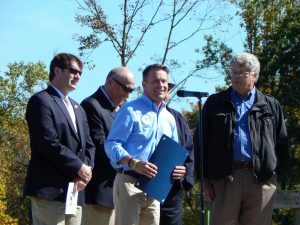 Of the 10,000.00 that was raised, half purchased a lighting pier dedicated to the 50th year of HCS. 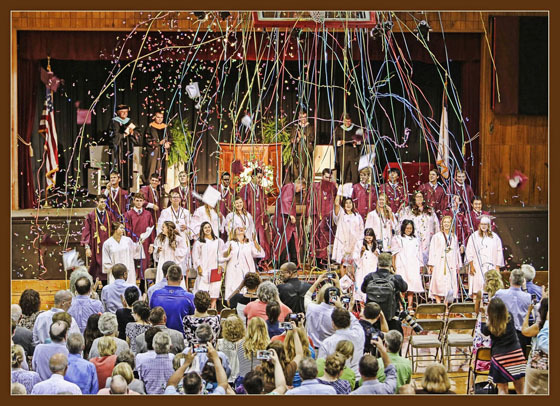 At the end of the graduation ceremony, as the students tossed their caps in the air, they were showered with confetti and ribbons. What a wonderful celebration! Click here to view our photo album. The Harford County Delegation to Annapolis hosted the Annual Outstanding Scholars Banquet for the three top scholars from each high school in Harford County. The recipients from Harford Christian School are Jason Williams, Brooke Fletcher and Nicholas Giro. They are to be congratulated for their academic achievements. 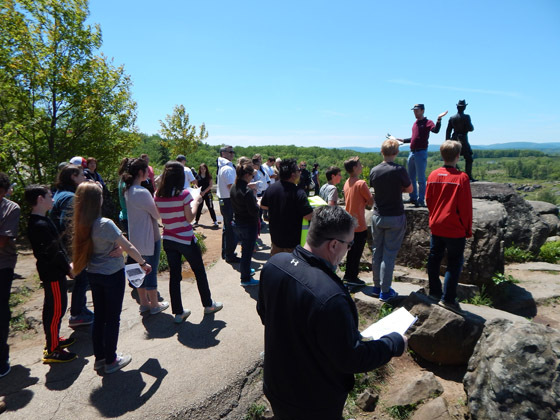 On May 16th, our 8th grade class traveled to Gettysburg, PA. The students learned more about this historically significant battlefield that was considered the turning point in the Civil War and the inspiration for President Lincoln’s address. Visit our Facebook page to view the photo album. On Friday, May 13th, Harford Christian hosted 200 grandparents for a wonderful day of learning and fun with their grandchildren. 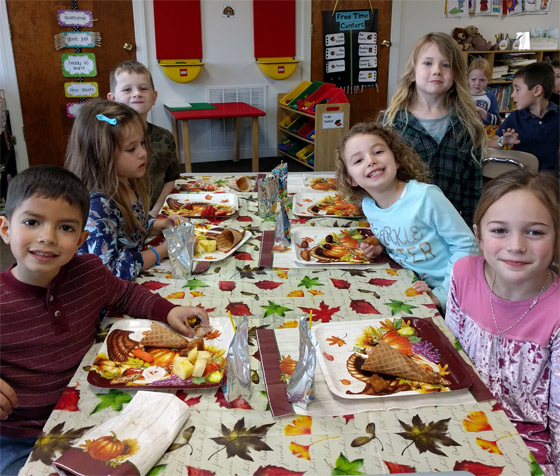 These special guests were also treated to a delicious luncheon and fellowship with other grandparents. Visit our Facebook Page to see the photo album. We extend our congratulations to both girls’ soccer teams (varsity and junior high) and our varsity boys’ baseball team. These three championships end another great and successful year of athletics at Harford Christian. 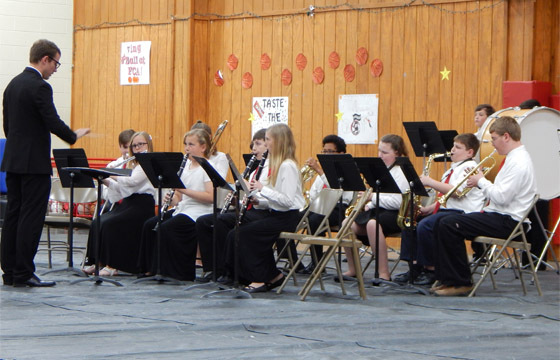 On Friday, May 6th, our award-winning high school band delivered another wonderful performance. The concert included music from Also Sprach Zarathustra, The Planets, and Star Wars. There are few concert bands that deliver the quality of music that we are blessed to have from our high school band. Happy Birthday Harford Christian School! On April 29th, Harford Christian School celebrated its 50th Birthday with a spring concert, special videos, an 8′ foot cake and visual delights everywhere you looked. 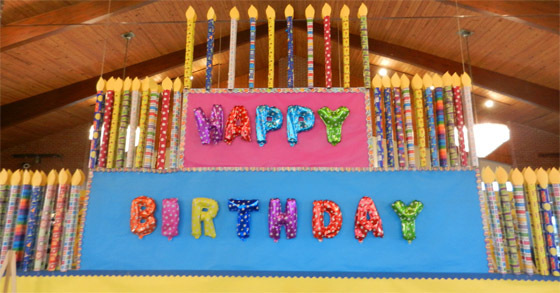 The back wall of the entrance to the high school building became a giant, colorful birthday cake. Click here to see the full video. Also, visit the photo album on our Facebook Page. Harford County Envirothon Champions for 10 Consecutive Years! 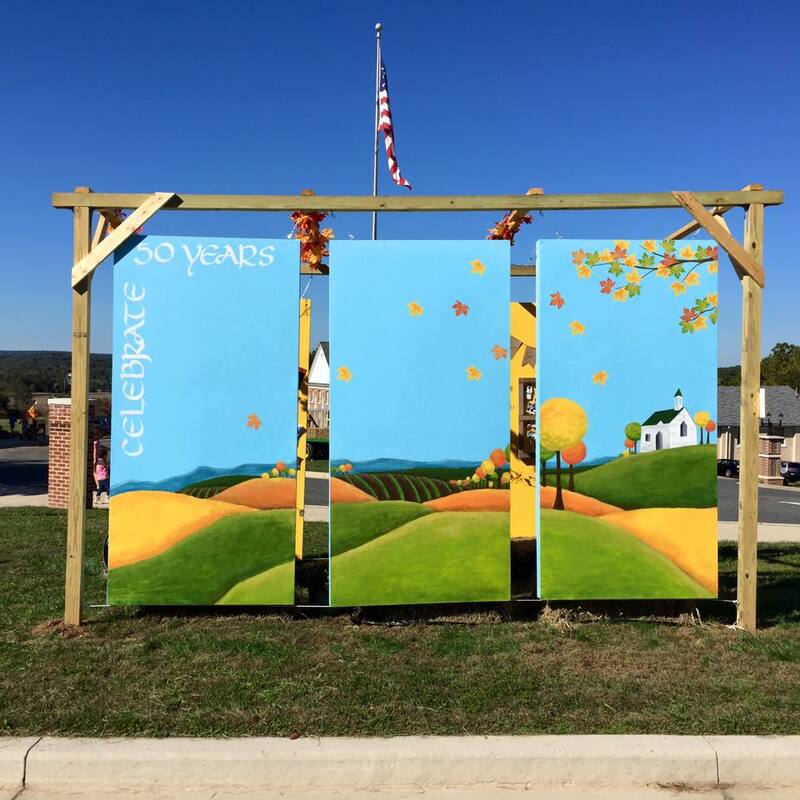 Director Ada Stambaugh and her environmental science team did it again! For the 10th Consecutive year, Harford Christian School achieved victory against all other public and private schools in the competition. 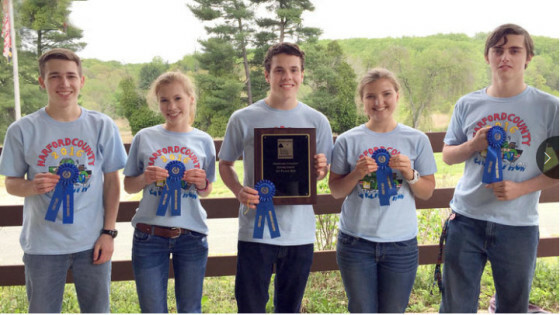 Harford Christian has taken first place in every Harford County Envirothon since 2007. 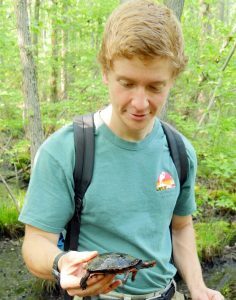 The school has also won three Maryland State Envirothon titles and competed in national Envirothons, in which the championship teams from the United States and Canada compete. Harford Christian will represent Harford County during this year’s Maryland Envirothon, which is scheduled for June 22 and 23 at Mount St. Mary’s University in Frederick County. 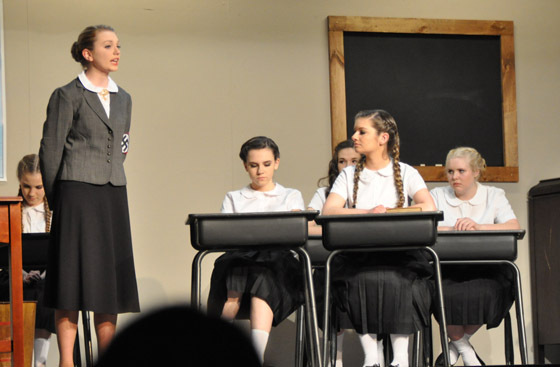 On Friday and Saturday nights (April 22 & 23), the Harford Christian School Players delivered two powerful performances of Craig Sodaro’s play, Edelweiss, which is staged in the Schloss Strasse School for Girls in Munich, Nazi Germany. The HCS German department also offered a wonderful banquet of gourmet German cuisine during Saturday’s Hors d’oeuvres Theatre. Visit our Facebook Page to view the photo album. On Friday, April 22, HCS fine arts students took part in the Maryland Association of Christian Schools fine arts competition held at Frederick Christian Academy. Don’t Miss our Spring Play! Harford Christian Players will be performing Edelweiss. As the Nazi influence was growing, German families and communities were impacted in many ways. The effects were felt in a classroom at the Scholoss Strasse School for Girls. Visit our event Facebook page for trivia and updates. The first performance will be on Friday, April 22nd, at 7:30 and the second, the Hors d’oeuvre Theatre, Saturday, April 23rd at 6:00 PM. 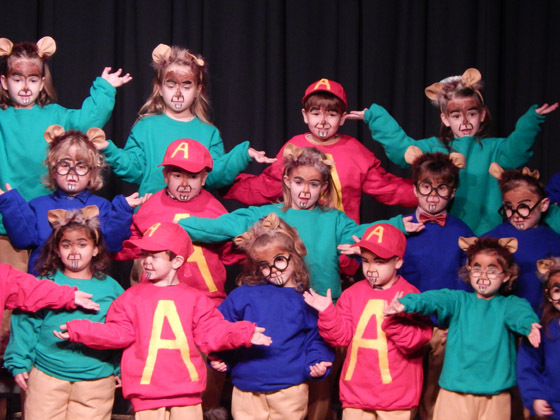 Call the school office to reserve your tickets for Saturday’s performance. On Thursday, March 24, eleven new members were inducted into the Harford Christian Honor Society. During chapel, current Honor Society members supplied special music, read Scripture, and gave a warm word of welcome to the new members. Mr. Eshleman challenged all of us to be servant-leaders, continually striving to put others before ourselves. Following the service, new members and their families were treated to a delicious brunch provided by the rest of the Honor Society. Congratulations, new members! Allyson Heatwole, a 2011 HCS graduate, was recently accepted by Edward Via College of Osteopathic Medicine. 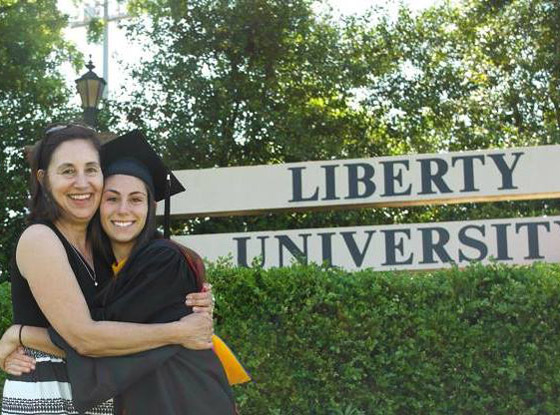 Allyson graduated from Liberty University in May and took her MCAT in September of 2015. Congratulations Allyson! 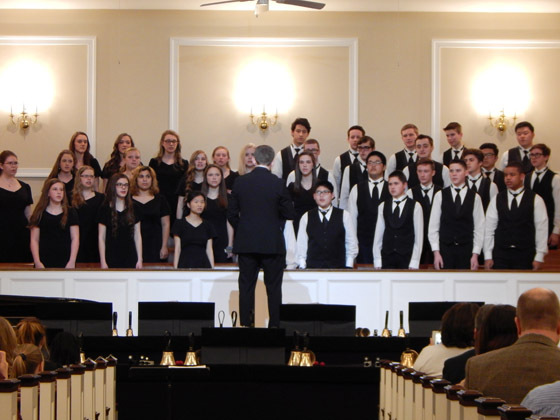 Special thank-you to the bell and vocal choirs for a lovely concert on Friday evening. The fruits of dedication and rehearsal were evident in the performances, accompaniments, and directing. Kudos to the fine arts team that God has assembled at HCS. The first grade just finished a unit on cowboys and wanted to learn more about the animal so important to cowboys: horses! 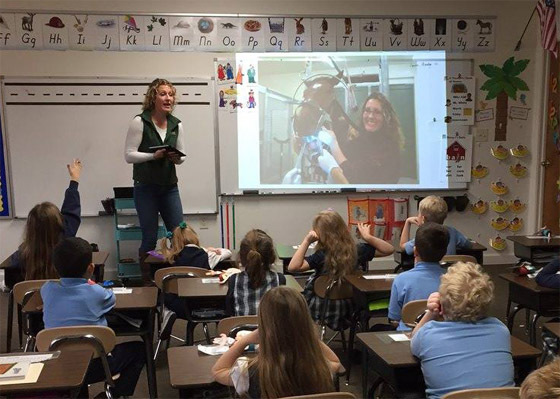 First grade school parent and veterinarian, Alicia Sorum, visited the first graders this morning and gave them such a fun experience that included pictures of her own experiences with large animals, tools of her trade, and even a sonogram machine! On March 10th and 11th, Harford Christian fine arts students participated in the Maryland Association of Christian Schools Fine Arts Festival. 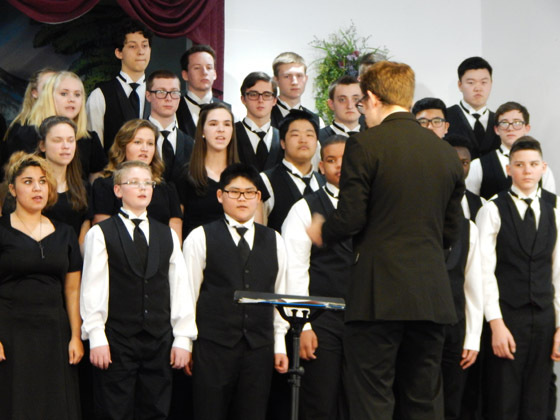 Our students exhibited their gifts in vocal and instrumental performances. 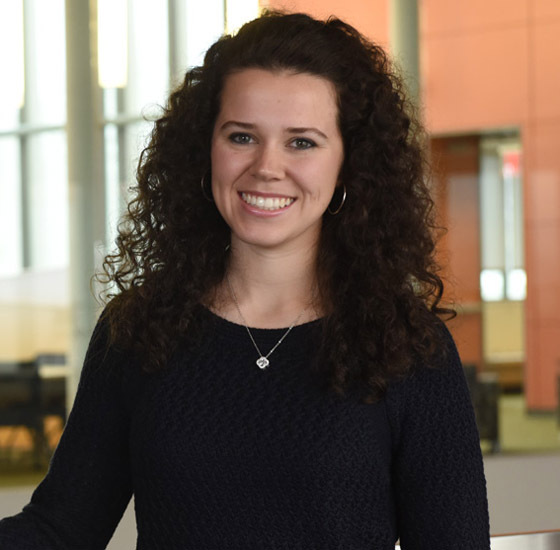 Alumna, Rachael MacKnight, is pursuing a bachelor’s degree in Business Administration at Towson University and will graduate this spring. 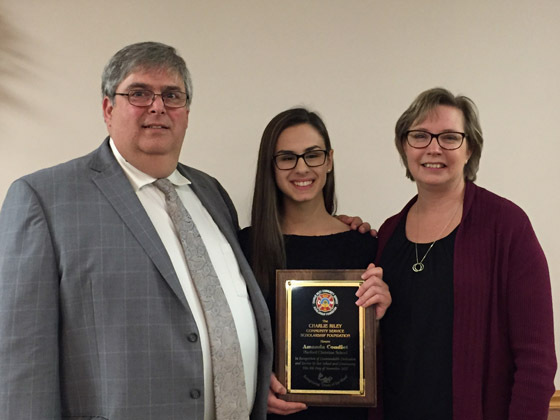 Recently, Towson recognized Rachael and her accomplishments including her first place win in Towson Supply Chain Management Case Competition in the fall of 2015. The CBE’s Fall Case Competition in Global Business, Project Management and Marketing gives students the opportunity to apply their classroom skills and knowledge and present them to business leaders. Rachael has applied what she is learning in her undergraduate coursework in her family’s business that has grown significantly since 2012 when it first opened. Read the full article. The Six Flags Read to Succeed program is open to students in Kindergarten through 6th grade. It requires students to complete six hours (360 minutes) of recreational reading to earn a free ticket to Six Flags America. Students are permitted to read books, eBooks, magazines, newspapers or comic books. The program’s purpose is to encourage a love for reading. This year we had 45 students complete the program. Because of the students participation all the teachers from Kindergarten through 6th grade will be given a ticket as well. Tickets will be awarded to the students at the end of May. Alumnus, Vince Wilson, has been selected to appear in the 2016 Who’s Who Among Students in American University and Colleges. Who’s Who recipients are selected from students at more than 2,000 institutions of higher learning in all 50 states, the District of Columbia, and several foreign nations. Vince will graduate this spring with a degree in nursing from Bob Jones University. Congratulations Vince! Congratulations to Carolyn Peters for making 1st Chair French Horn at the Maryland All State Senior Band. Yesterday, the MMEA All-State Band performed at the Fine Arts Center of Morgan State University in Baltimore. Of the 100 band members, Carolyn was the only student from a private, Christian school. 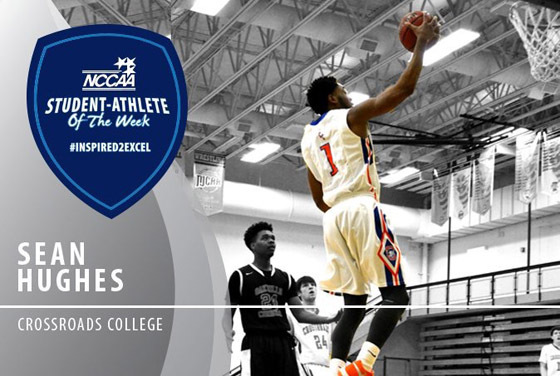 Sean Hughes, a 2015 HCS graduate, was named Student-Athlete of the Week for NCCAA II. Sean led Crossroads to a 2-0 week including the program’s first win in 5 calendar years over #5 North Central University. Sean averaged 21 ppg 8 rpg 2 apg 2.5 spg on 53 % from the field and 89 percent from the FT line. During our blizzard week, our men’s and women’s varsity basketball teams travelled to Bob Jones University in Greenville, South Carolina, for a basketball tournament. Not only did out athletes not miss any school, but out of sixteen teams, our boys brought home the championship on the boy’s side in an exciting overtime win vs. Bob Jones Academy. The girl’s finished with a strong 3rd place finish on the women’s side. Congratulations! Each year more than 125,000 students in grades 6-8 enter the VFW’s Patriot’s Pen youth essay contest. The first-place winner from each state competes for national awards totaling $50,000, with each first-place state winner receiving a minimum of $500 at the national level. The national first-place winner wins $5,000 and an all-expense-paid trip to Washington, D.C. The essay contest encourages young minds to examine America’s history, along with their own experiences in modern American society, by drafting a 300- to 400-word essay, expressing their views based on a patriotic theme chosen by the VFW Commander-in-Chief. 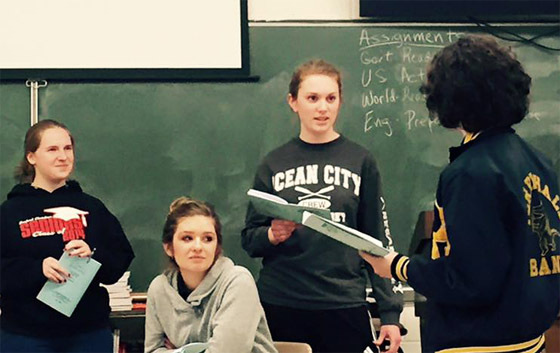 Harford Christian had 3 winners in the post round and Rachel Derwart’s essay was sent on to the state competition. Jack Collins won 3rd place at the post round. Abby Coomes won 2nd place at the post round. Rachel Derwart won 1st place at the post round. On Friday, December 18, the students did a wonderful job performing holiday instrumentals, songs and beautifully read Scripture verses for hundreds of family and friends in attendance. 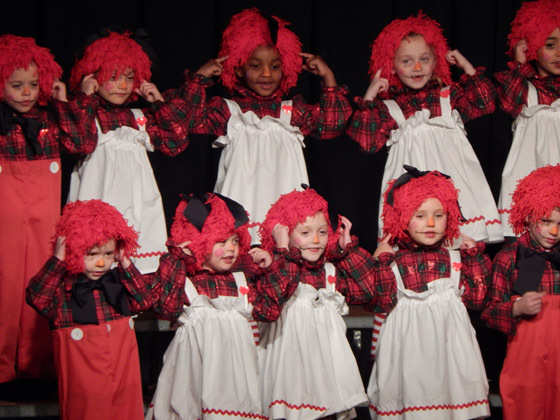 The Kindergarten students celebrated the 100th Anniversary of Raggedy Ann and Andy. Snow fell inside the auditorium while the children sang “No School Tomorrow”. What a wonderful evening of Christmas spirit! Enjoy our photo album on our Facebook Page! 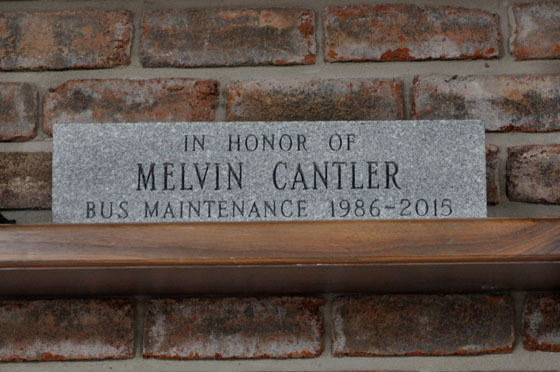 On Sunday, December 6th, Reformation Bible Church and Harford Christian School honored Mel Cantler for nearly 30 years of service in bus maintenance for the school. Mel kept the fleet of buses, that are so vital for many families, in good operating condition from 1986 until his retirement this year. 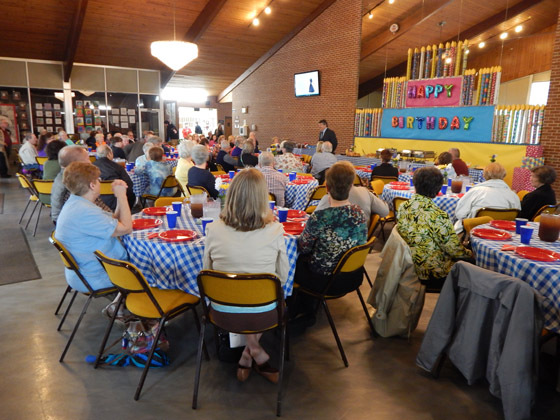 A celebration was held in the RBC Fellowship Hall where friends and coworkers gathered to express their thanks. After many classes of writing and perfecting their letters, fourth grade sent letters and drawings to a soldier. Today, they had a huge surprise! 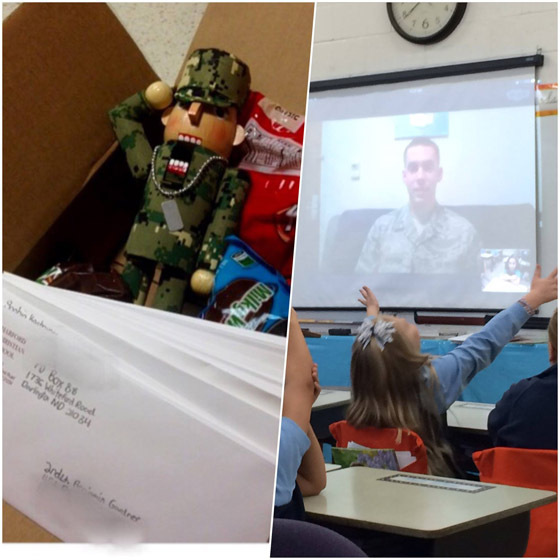 The soldier was able to Skype and talk to each fourth grade student. What a neat opportunity! Thank you to all who serve! Thanksgiving provides many opportunities to give thanks for our abundant blessings. 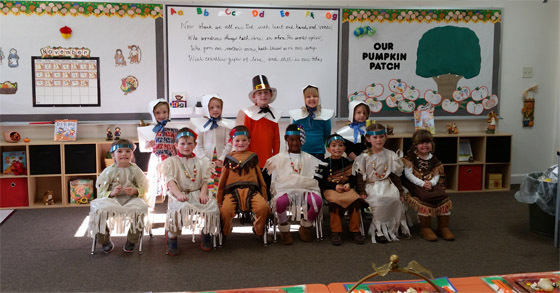 Our K-4 students enjoyed dressing up as Pilgrims and Indians and shared a tasty holiday meal. 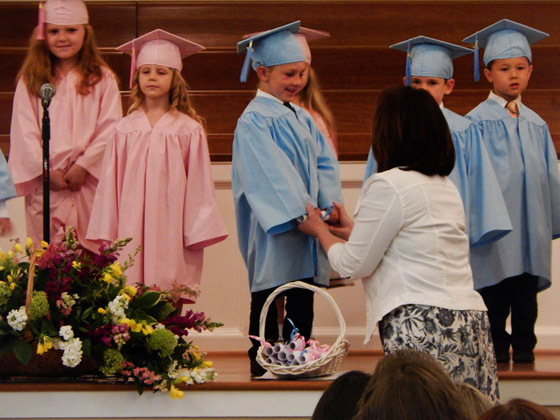 This has been a Harford Christian School tradition in our preschool for many years. The Spanish Department is offering a night of fun and education for your children while you shop. Enroll your child/children in Knight School Friday, December 4th from 3:30 to 9:00 PM. Click Here to register online. Wednesday afternoon was a special reward day for 1st through 6th grade students who earned a “S’mores Day with the Principal”. 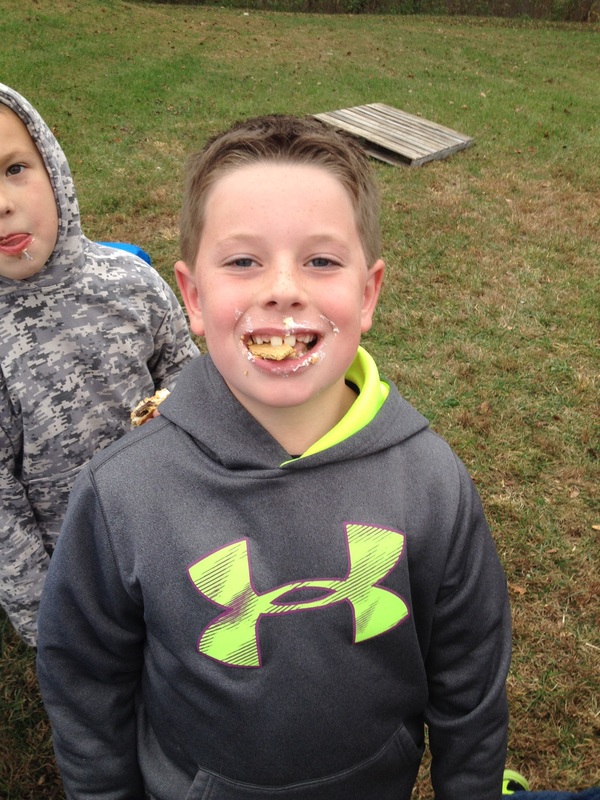 Melted marshmallows, chocolate, and Graham Crackers found their way to many student bellies and a few faces as well. 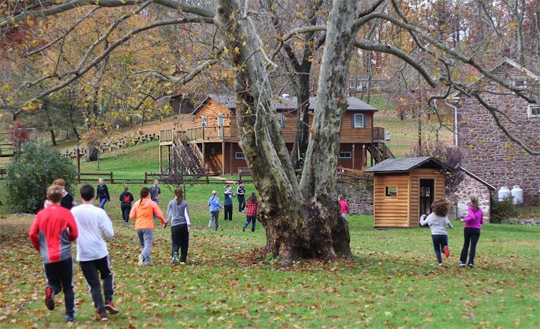 When late-October rolls around the senior high students at Harford Christian School head north to Camp High Point, near Reading, Pennsylvania. This October was no exception. Once again, students in grades 10-12 attended the dynamic retreat. Congratulations go out to Christina Condict and her parents Bob and Tammy. Christina attended the Charlie Riley Foundation Scholarship banquet this past Wednesday to receive a $1,000 scholarship as the HCS nominee. Instead, Christina was recognized as the grand prize recipient of a $3,000.00 scholarship for an outstanding service record and substantive essay answers. What a blessing to the Condict family and HCS. 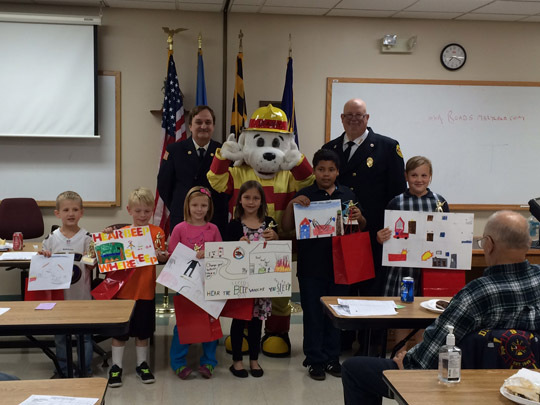 These are 1st place winners of the Dublin/Darlington Fire Department’s Annual Fire Prevention Poster contest. Congratulations to these students for their great posters! The annual Christmas wreath sale hosted by the HCS German Department has begun! Wreaths will be ready for pick up on or after December 6th at noontime. See attached for your order form. You can order directly to Mrs. Lydia Olinger at lolinger@harfordchristian.org or send in your order form to the school office. Order today! Download the order form. Don’t Miss Chick-fil-A Spirit Day November 16th! Students, parents, family, and friends, please help support Harford Christian School with an ALL-DAY Spirit Dine on Monday, November 16th at the Forest Hill Chick-fil-a. Please use the attached flyer, either printed out or on your smartphone, when ordering food. This is a great opportunity to support the school and have a delicious meal. Download the flyer. 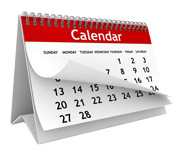 Chick-fil-a calendars are also available in the kindergarten, elementary and high schools offices. The calendars are $8 each with proceeds benefiting the Parent Teacher Fellowship (PTF). These calendars make great stocking stuffers, gifts for teachers, bus drivers, neighbors, friends and family members. Get them while supplies last! 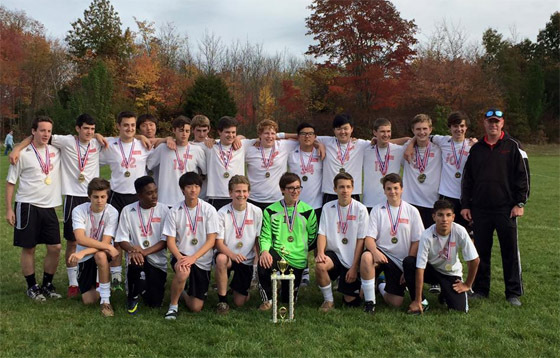 Congratulations to our boys’ varsity soccer team and boys’ middle school soccer team for their MACSAC 1st place victories. Our girls’ varsity volley ball team took second place in their tournament. Congratulations teams! The Harford Heritage Festival Committee and Harford Christian School would like to express our heartfelt thanks to everyone who made Saturday’s festival so special. Our vendors, teachers, staff and volunteers gave it their all and God delivered a gorgeous, sunny, fall day for the event. We were very blessed with special guests from the state and county who issued proclamations in recognition of our school’s 50th year. The Klein family of Klein’s ShopRite Supermarkets were a major sponsor of our event. There were many personal contributions and in-kind donations for which we are very grateful. Mr. David Anderson of the Baltimore Sun wrote a wonderful article about the event. Take a few moments to read it. Article and video. If you missed our event you really missed something wonderful so plan to be with us next October! Visit our Facebook page for the photo album. Wednesday, October 7th, was Fire Prevention Day. Special Guests from the Dublin Darlington Fire Company informed our young students about fire safety and the special clothing and equipment used by firefighters. 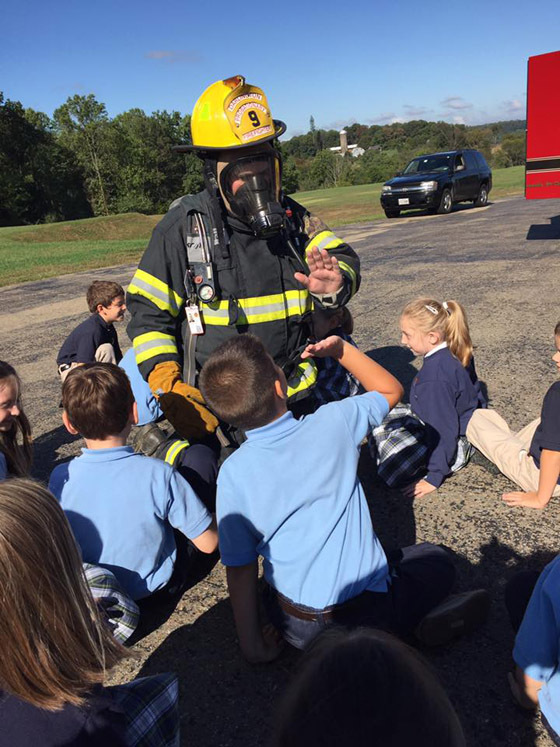 It was a beautiful day and the students gave their full attention, wearing the pink and blue helmets. Despite the wet conditions, 81 golfers came out to support Harford Christian School Athletics. The Lord gave us our first rainy golf tournament day in the 11 years that this event has been occurring. I cannot express how thankful I am to the sponsors, donors, players and staff who helped make this year’s tournament possible. And a big congratulations to the winning team of Brian Akers, Alex Monk, Gene Hoak and Justin Cross!! 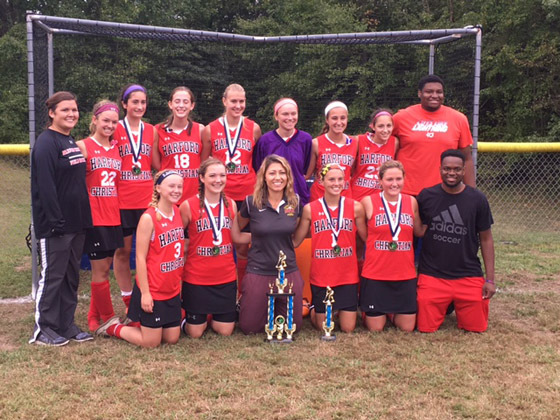 The HCS field hockey team became the Tome Invitational Tournament champs over the weekend. HCS out scored opponents 11-0 in a total of three games during the day Saturday. Congratulations team! All-tournament honors went to: Melissa Good, Julia Smith, Crystal Kline, Taylor Dawson and Lily Loomis, who received the tournament MVP honor. 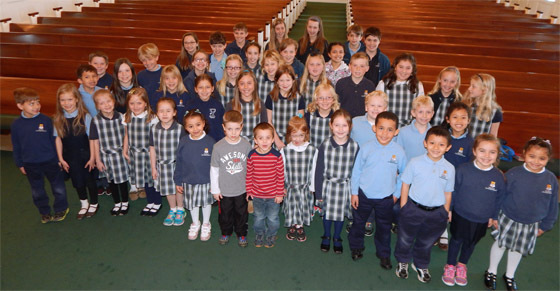 HCS is Accredited by the American Association of Christian Schools. It is official! 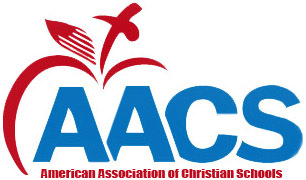 We have received word that Harford Christian School has been fully accredited by AACS. After completing a rigorous self-study process, Harford Christian School hosted a team of educators for a peer review on April 20-22, 2015. The visiting team has recommended Harford Christian School for full accreditation to the American Association of Christian Schools Accreditation Commission which met on June 24, 2015. 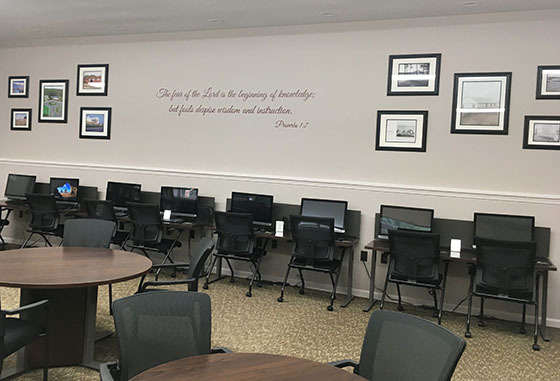 Thanks to the generous donations that enabled Tim Olinger, Director of Information Technology to install all new equipment, students will return to school and find an upgraded and transformed computer lab! 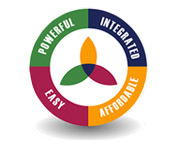 We are as committed as ever to continuous improvement and advancements in technology. High school students will also begin to use iPads to access course materials this year. 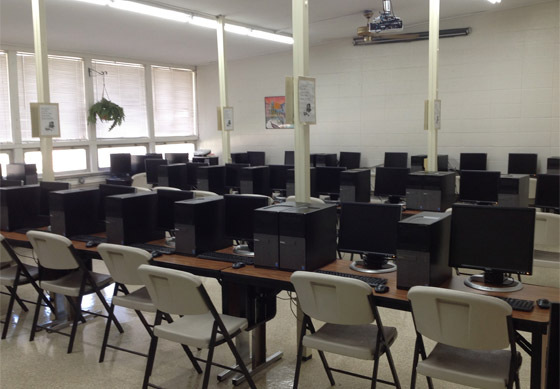 Check out our high school computer lab! The elementary computer lab revamp is also nearing completion. Click here for news archives.